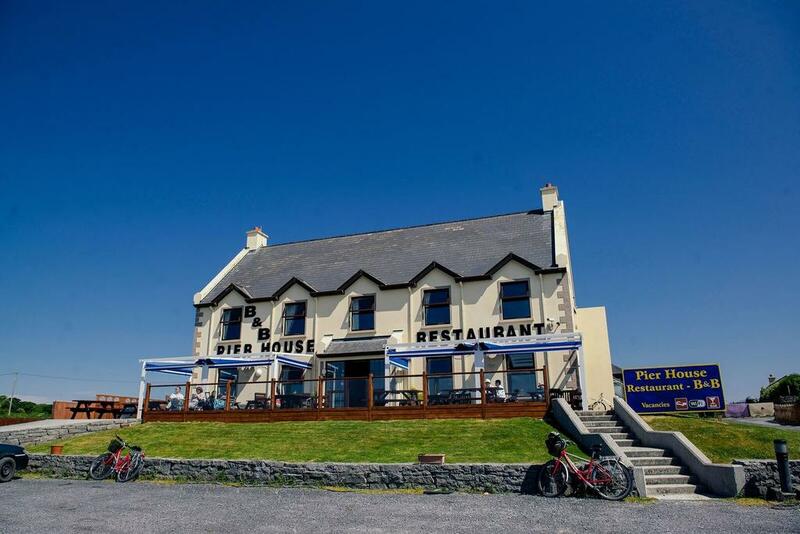 Overlooking Kilronan Harbour on Inis Mór Island in County Galway, Pier House offers Bed and Breakfast in a peaceful location off Ireland’s west coast. We are ideally located for you to begin exploring the Aran Islands. 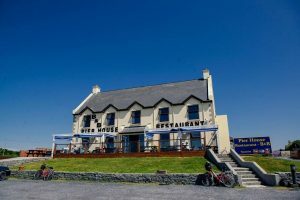 Pier House is uniquely situated right beside the pier in Kilronan Village, for ease of access to and from the island by ferry and is a short bus ride from the island’s airstrip if you arrive by air. Kilronan Village plays host to craft shops, restaurants and traditional pubs with live music all within a 5-minute walk from the property. 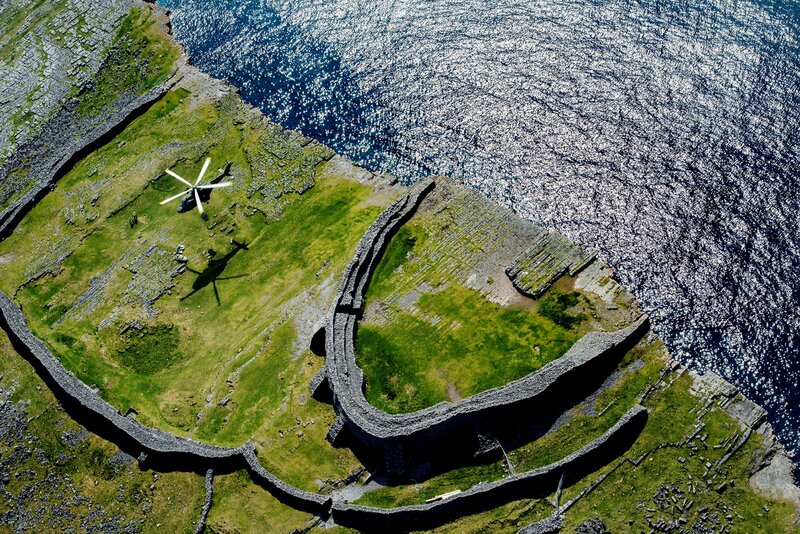 The prehistoric Dún Aonghasa Fort offers spectacular views of the island cliffs and is a 15-minute drive from Pier House. 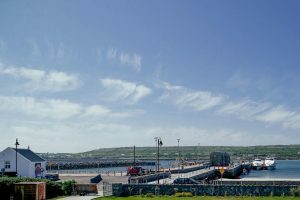 Or you may prefer to make your journeys around the island by a traditional horse-drawn cart, tour bus or bicycle. Visiting the many other historical and archaeological sites that Inis Mór has to offer. Pier House has all the comforts of home for our guests. All rooms are en-suite and have a TV, WiFi, telephone and hairdryer. There are tea and coffee-making facilities, as well as a desk and wardrobe. Downstairs, after a day’s exploring, you can relax in our large residents’ lounge or watch the world go by from our sun terrace at the front. 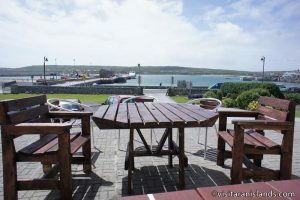 Views of the harbour are available from some of our rooms and our breakfasts are legendary! And we can cater to all tastes.